I love fall flavors...pumpkins, sweet potatoes, cranberries, and of course, apples! 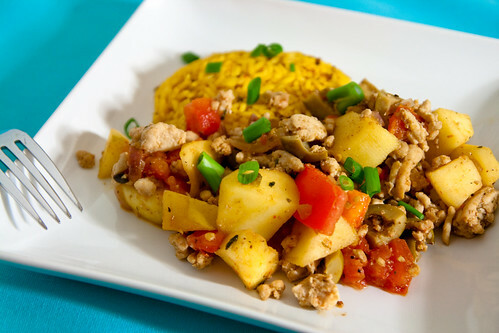 EatingWell Magazine posted this Apple Turkey Picadillo recipe as a low-calorie option for the post-Thanksgiving "cleanse," which I definitely needed. :) I served it with Spanish yellow rice and it was delicious, though I think it would be even better with tortillas.